This Omega Seamaster Professional 300M, probably better known as the Omega Bond watch, has already now reached the status of a true classic. The one I’m selling must be one of the last watches produced of this model (reference 2531.80.00) because it was sold in 2005. 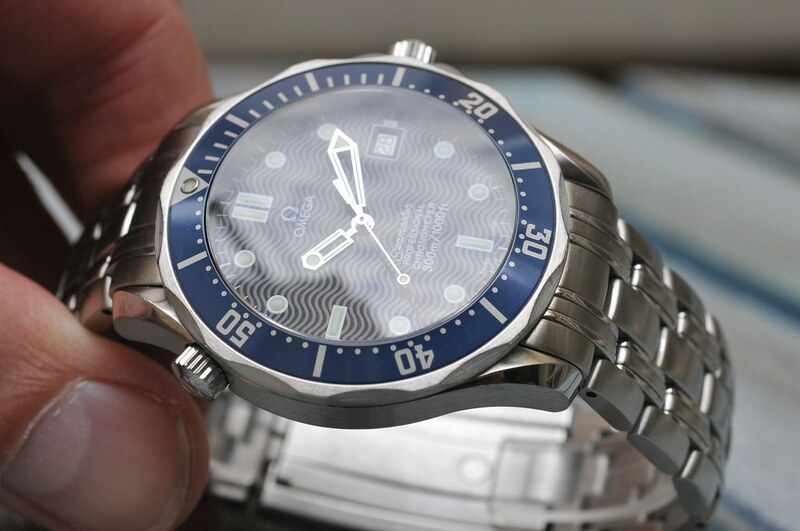 In 2006 Omega came with the successor, the Planet Ocean. The 2531.80.00 was introduced in 1995; it’s 10-year life cycle indicating the success of this model. 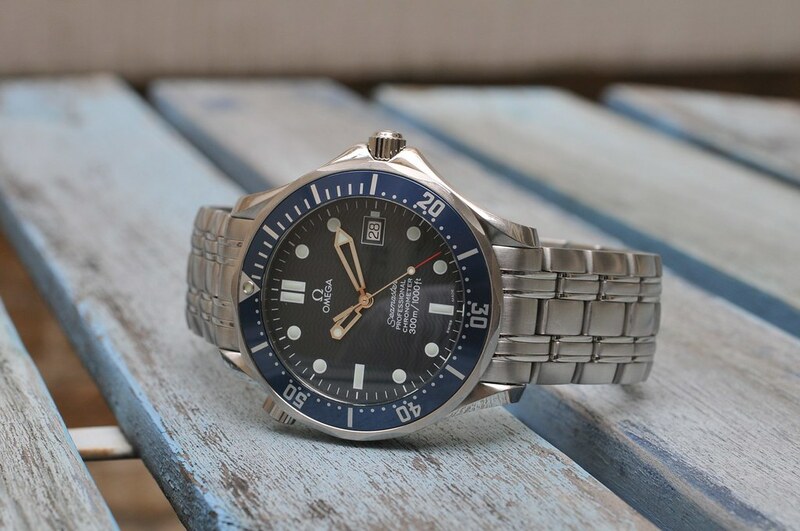 This watch was in fact directly sold from the Omega factory in Switzerland to Hewlett-Packard in Switzerland, who gave it as an incentive ‘for product sales achievements’ to a Hewlett-Packard employee in The Netherlands. Interesting story isn’t it? 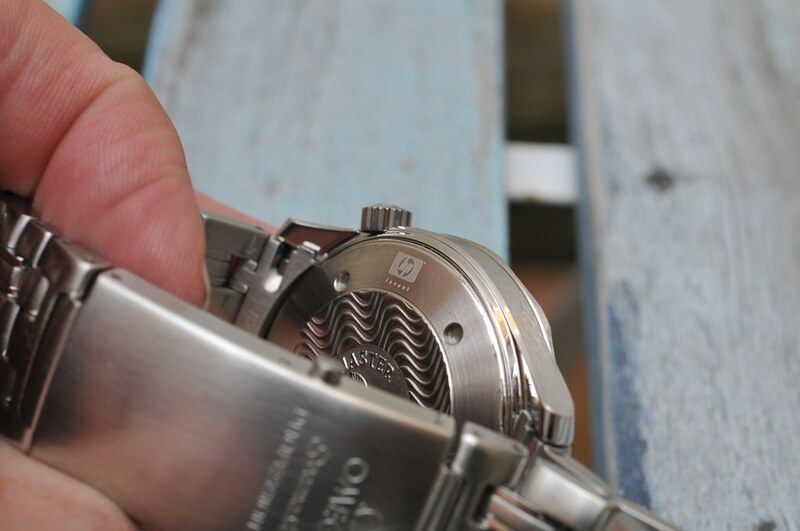 Certainly because Omega laser-engraved a tiny HP logo in the case back of the watch, just as they did at that time with the Omega brand logo as well. Have a look at the picture below. Of course there are some signs of wear at the underside of the bracelet from diving it to the desk while typing on the computer, however the watch overall is in a very good condition. It’s all complete as well, with inner- and outer box, booklets, warranty cards and a letter from Omega stating the supply to HP. This entry was posted on July 22, 2011 at 11:10 and is filed under all, sold. You can follow any responses to this entry through the RSS 2.0 feed.